Ron has been at Shaftesbury Park for 2 years, “long enough to know if I like it”.? In June 2016 Ron had taken a book and folding chair to Assiniboine Park to read.? On his way home he decided to go to IKEA and onc Shaftesbury Blvd. he got stuck at a train. To the left he saw a sign that said Shaftesbury Park Retirement Residence, so he decided to go in rather than wait out the train. Ron had pictured retirement residences as tall, narrow apartment blocks.? Shaftesbury was small and spread out; the lobby attractive.? So, he asked for more information and later phoned for an appointment.? He was told there was an?8-month wait list.? In October he got a call saying there was a one-room apartment that fit what he wanted ( on the 3rd floor, overlooking Assiniboine Forest) available for November 1st.? Ron took it and moved in gradually.? At first he only went there for meals.? His house of 47 years old on Oxford St. sold in 2 days! Ron is in a 600 sq. ft. apartment, all meals are provided and are good (Ron pats his stomach).? There is a library, chapel, theatre with reclining arm chairs, beautiful wood pillars, a dining area with a 2 level ceiling.? All people fit into the dining room comfortably.? There are 2 meals:? lunch at 1130 and dinner at 5 p.m.
–? Those who suddenly chose to go. Family often worry about their loved ones who live alone. What happens if their loved one falls downstairs.? At Shaftesbury they might still fall but there will be someone to pick them up. There is a poetry club that meets 26 times a year. ?Residents read and discuss poems by established poets.? The focus is on Canadian poets.? Each participant writes a poem as well, with topics selected every meeting for next time.? Some of the topics have been on honesty and duty, and the group (80 and 90 year olds) is creating a book of their poems. 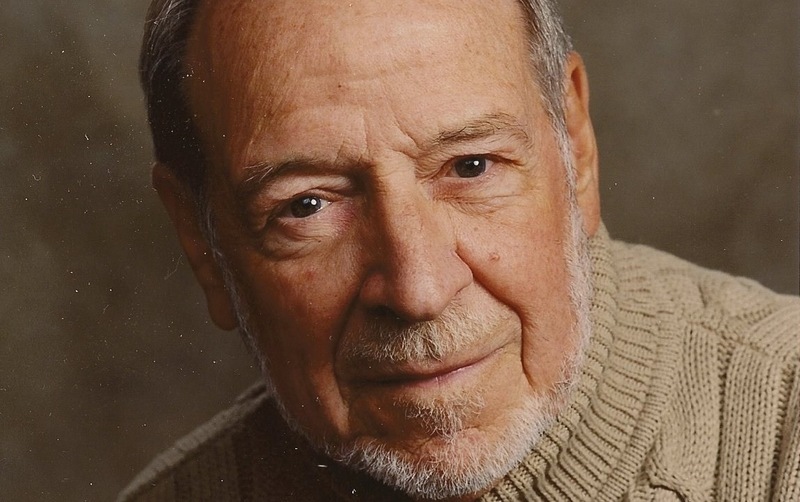 Ron is being modest, he is the founder of the poetry group. 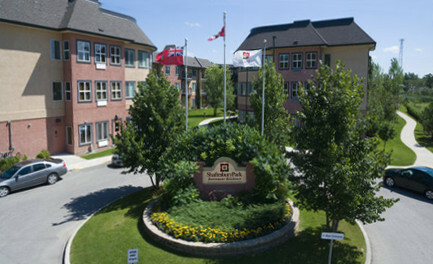 Shaftesbury, now ten years old, is the flagship for All Seniors Care private and assisted living facilities, based in Toronto (a Canadian Company). ?They operate seven buildings in Manitoba: six in Winnipeg and one in Brandon. Brandi does all the “fun” stuff for all seven buildings. 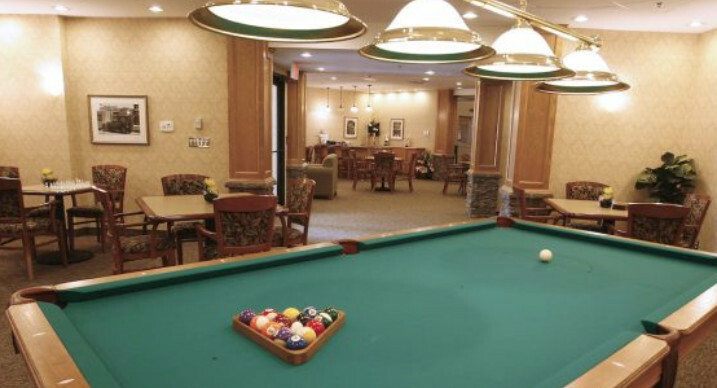 ?Their “aging in place” philosophy is reflected in both independent and enhanced assisted living. 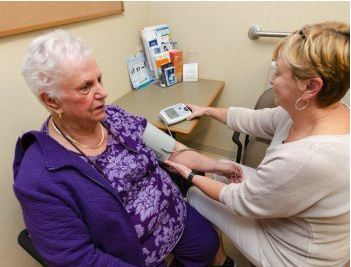 A nurse is available five to seven days a week, providing peace of mind for both resident and family. ?Safety features include grab bars, pull cords in every room, and optional personal pendant call system such as Victoria Lifeline. Meals:? 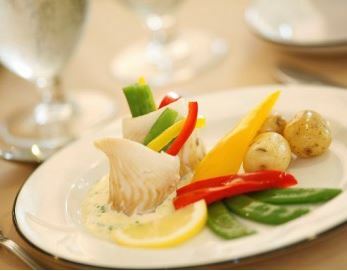 A Red Seal chef prepares two meals on-site each day, lunch and dinner, that feature 2 menu options.? Full table service is offered in the dining room, with homemade soups (which Ron says are extremely good), desserts , and additional à-la-carte choices. Seats are not assigned, but residents often prefer to sit at the same spot. For residents who cannot make it to the dining room, meals may be delivered to their room. The menu changes weekly, except for the usual Friday salmon and chicken, and display plates at the front let residents see the daily offerings. Residents often order a half-plate. There is also a private dining room and a multipurpose room for families to use. 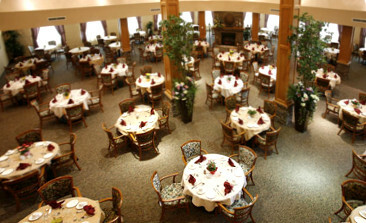 In addition, the Bistro Lounge?offers a half-dozen tables for people to gather and have breakfast.? Complimentary newspapers, coffee, tea, muffins, apples and oranges are set out, and bread is available to make toast. The suites: A wide variety of one- and two-bedroom suites are available, from 534 to 1000 square feet. All 188 Shaftesbury units include either a patio or a balcony. A couple of the suites even feature panoramic windows. A person walking all three floors and three wings would cover a mile. A one-bedroom costs $3300/month, and a two-bedroom $4400/mon, with an additional $600 charge for a second person. 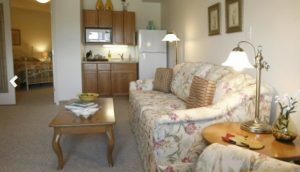 ?Each suite includes a full size fridge, microwave, sink and cabinetry,?and residents can bring in a toaster or convection oven.? Only things not included are cable, TV and phone. 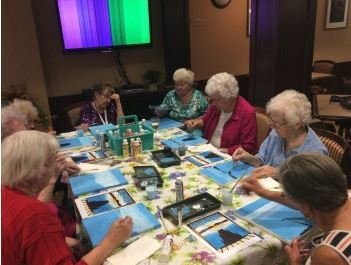 Residents can even change the colour of paint in their suites. Residents are checked on routinely.? Each resident puts up a sign on the door in the morning that says, “I am alright”, and there is another check at lunch and dinner. The multipurpose room can be booked for events and has a full stove. 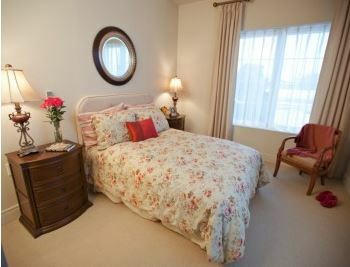 ?A guest suite, like a hotel room, is also available for $75/night. Other residences in Winnipeg:? Sturgeon Creek 1 and 2 in St. James, Seine River in St. Vital and River Ridge 1 and 2 off Ridgecrest in West Kildonan. ?The newest residences are made of concrete. Shaftesbury is wood frame, soundproofed and fire proofed. Hallways are carpeted and have nice pictures on the walls. Activities: The philosophy is holistic wellness: physical, spiritual, emotional. Exercise:? yoga, pilates, chair Zumba etc. February Olympics: This is a very competitive full week of games during which all Seniors Care Residence buildings compete with each other.? Some of the games played are: bocce ball, Wi golf and bowling, indoor archery, shuffleboard, billiards.? 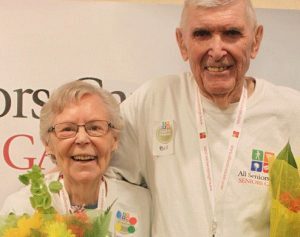 Residents compete in-house for medals and nationally within all residences across Canada.? They even have dignitaries that support the games. Shuttle Service: seven days a week for banking, shopping, going to casinos, ballet, the Pops, etc. Monday, Wednesday, and Friday mornings are for medical appointments, Tuesday,? Friday, and Saturday for shopping, Tuesday afternoons for personal appointments, Saturday for synagogue, and Sunday for church. Chapel:? no chaplain on staff, but used by various community churches. The Boulevard: Developed in 2014, this secure locked unit for dementia care provides a gap between assisted living and personal care. Moving out of the building or to a different suite can be very stressful. The cutoff for this area is people who require a two-person transfer.? A hoyer lift is OK. When to Move In:? Many don’t have a positive attitude when they move in.? They are often dragged in “kicking and screaming” when they don’t move of their own accord. ?Ron moved in gradually and on his own. There is something about the stigma of being old that keeps people from moving on their own. Residents have often told Brandi, “I wish I had done it earlier, when I could have participated in the move rather than being forced into it”. Did I make the right decision?? Absolutely. My table mate was pushed into the facility and it took him over a year to adjust and then enjoy all the amenities. The quietness is amazing.? You can’t hear through the walls, up or down. For more information about Shaftsbury Park Retirement Resistance, visit?w88ประเทศไทยallseniorscare.com/residence/shaftesbury-park/.